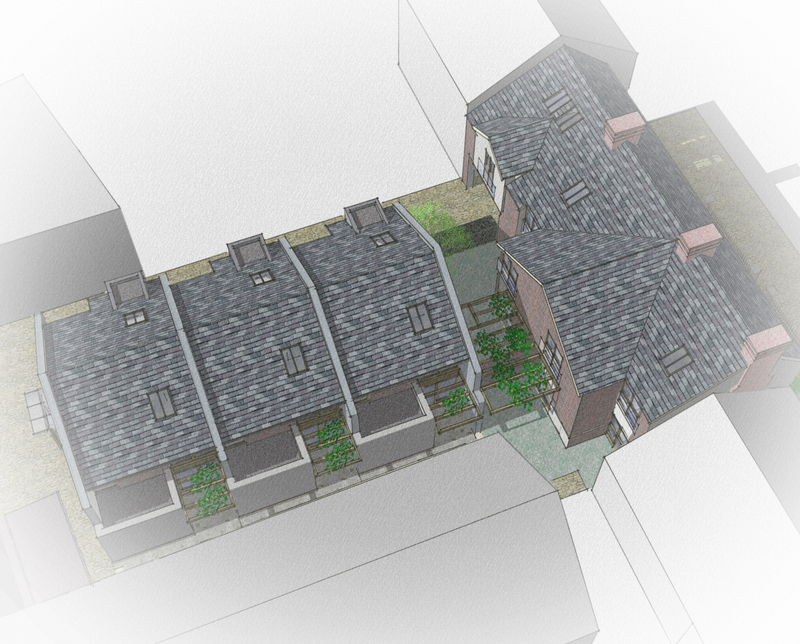 Following constructive pre application discussions this St Albans Conservation Area project includes the refurbishment and change of use of the former Grange Street Transport Workers Social Club. 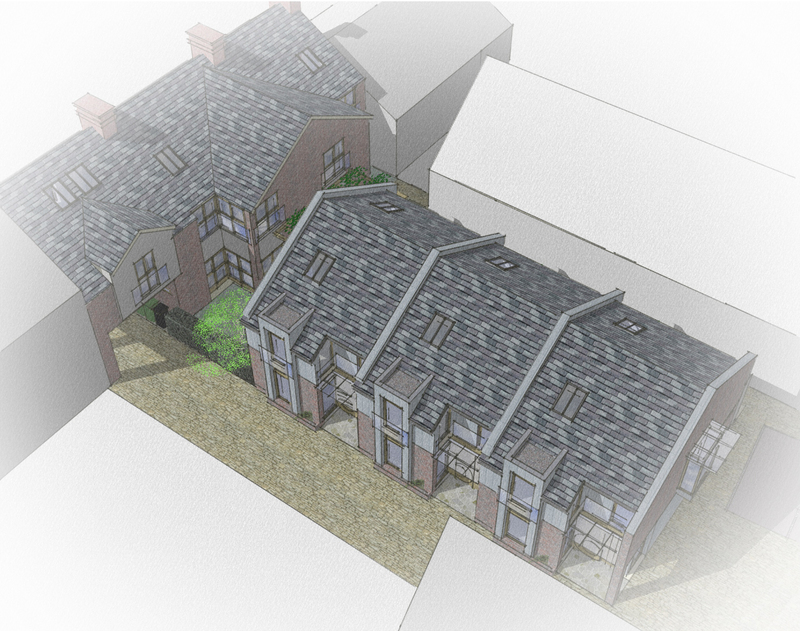 The development additionally comprises three new mews houses to the rear of the original clubhouse. 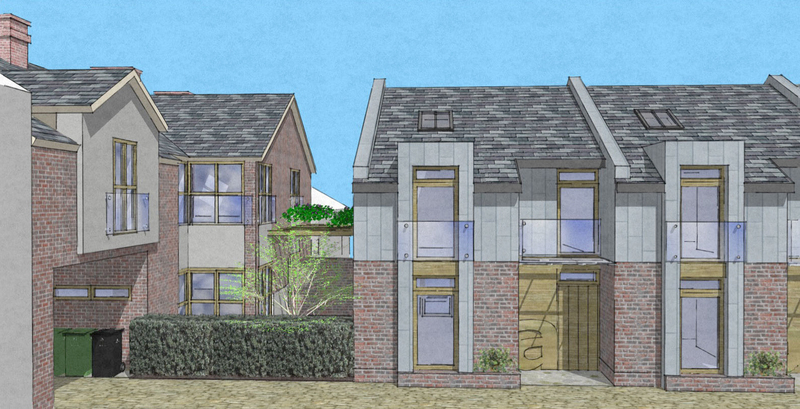 These new homes are designed using a palette of local natural materials but with some modern contemporary thinking. 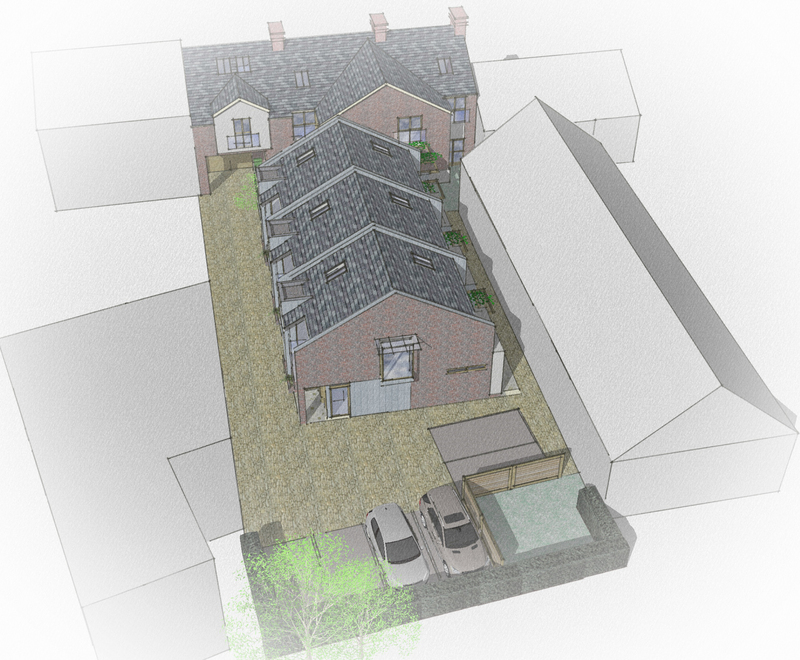 Carefully positioned large format glazing and opaque glazing overcome issues of overlooking and the proposals respond positively other planning policy constraints in this very tight landlocked site. Weathered zinc cladding and decorative pergolas add to the bespoke city centre urban ambience of the proposals.